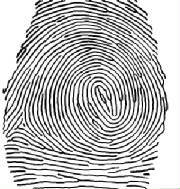 Welcome to FingerprintIdentification.net, a web site devoted to the study and presentation of fingerprint evidence. This site is hosted by Bill Leo, a Latent Print Examiner who has over thirty five years of experience working in two of the largest Crime Labs in the United States--the Los Angeles Sheriff's Department and the Los Angeles Police Department. Bill's last assignment was the Training Coordinator for the Latent Print / Crime Scene Investigation Section of the Los Angeles Sheriff's Department. Bill served in that assignment for eight years, prior to retirement in December 2011. Bill is a private consultant on fingerprint identification and training, and provides expert witness testimony on fingerprint evidence and crime scene investigation. Bill is currently an Adjunct Professsor of Criminal Justice at Grayson College in Dennison Texas. Students are encouraged to use the articles, Powerpoint presentations and links to assist them in their research on fingerprint identification.